Daydream Nation is a small Hong Kong based design collective that started out in 2006, when brother and sister Jing and Kay Wong joined forces. The sibling duo were both educated in art and fashion and wanted to create a place where they could live express both. Today the brand has gained a few more designers and artists as well as international popularity—Daydream Nation has dressed celebs like Ke$ha, has done collaborations with labels like Urban Outfitters, and is sold in over 80 stores internationally. Collaborations, awards, and accolades have been showered on the Daydream Nation collective for their innovative and playful take on fashion and design. Their collections don't always follow the seasons trends, and often fall somewhere between art and fashion. Each piece tells a story that the label has, well, dreamt up. Bold prints and vibrant colors dominate just about every look, and the silhouettes combine slashes, draped sections, and odd looking panels, that only make sense once the garment is on. Daydream Nation's unique perspective and touch of whimsy means shopping here is never boring. The overall feel is youthful and fun, but be warned, not just anyone can pull off these forward looks. 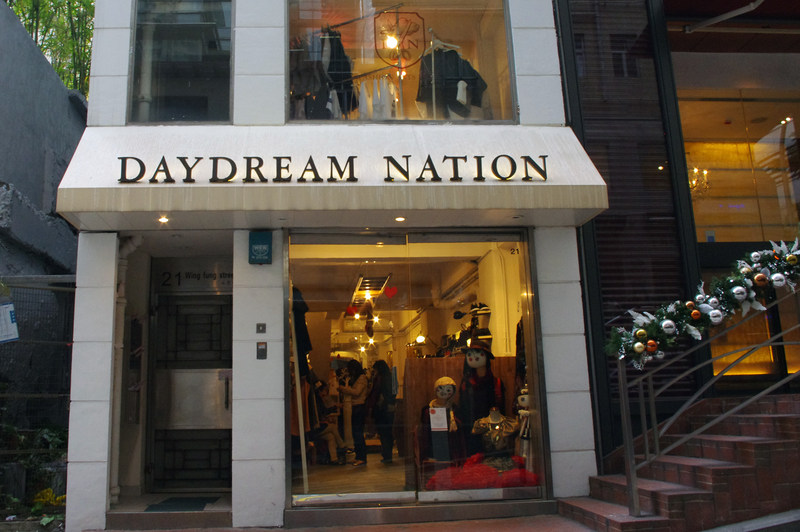 Checking out the local design talent is one of the best ways to get inspired by any city, and Daydream Nation is the perfect place to explore Hong Kong's fashion and arts scene.